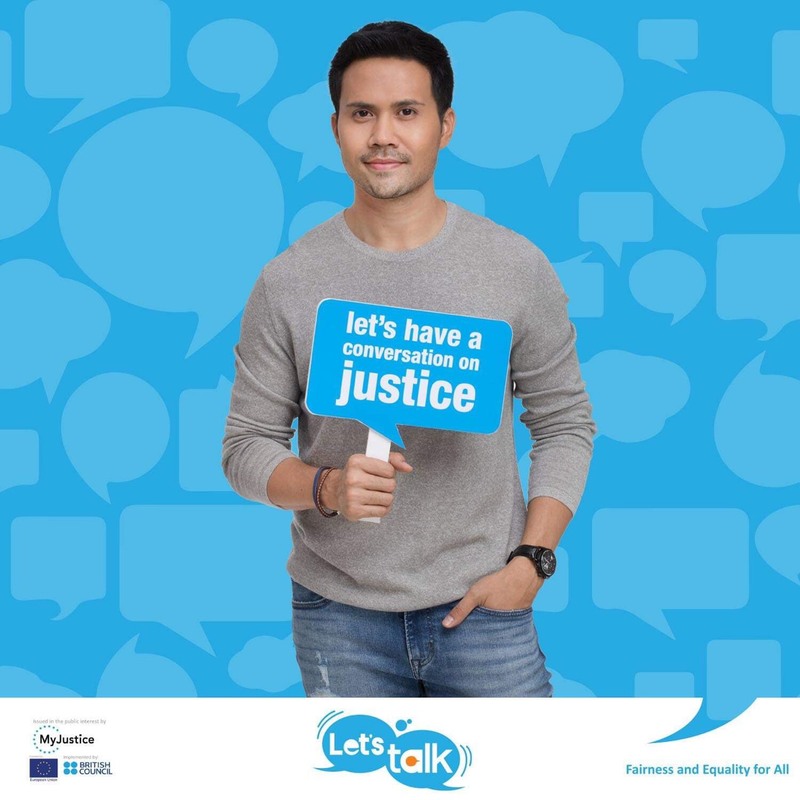 Let’s Talk: Fairness and Equality for All! People-centred: MyJustice keeps people at the centre of the programme and encourages learning, trust and collaboration between communities as well as between communities and institutions such as civil society organisations, legal professionals and formal and informal justice institutions. Community-driven: MyJustice works with its partner organizations to empower communities so that they are equal partners in the process of identifying solutions to the challenges they face. 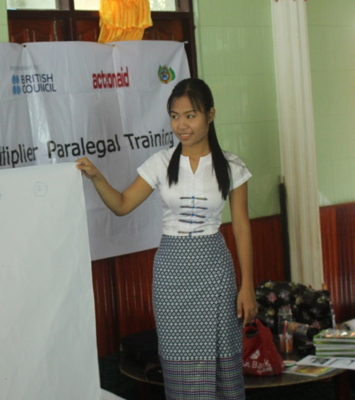 Powered by evidence: MyJustice gathers evidence from the process of delivering the programme to understand what works and what doesn't in access to justice programming in Myanmar. KNOW YOUR RIGHTS: Community members understand justice and their rights better. MEET JUSTICE NEEDS: Better, more effective and more accessible justice services are available. STRENGTHEN COMMUNITY JUSTICE: Community dispute resolution mechanisms are more inclusive and accountable. EVIDENCE TO ENGAGE: Sharing what works to engage and inform justice policy and implementation. MyJustice works in 3 states, 3 regions, 46 townships. 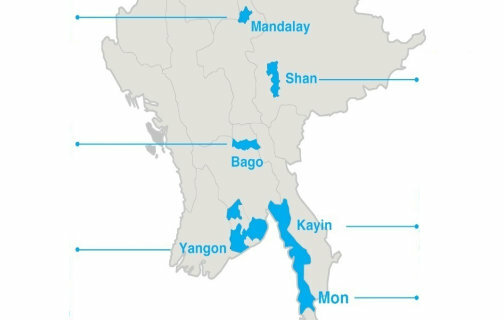 6 main Justice Centres in Yangon, Mandalay, Mawlamyaing, Taunggyi, Hpa-An, Taungoo. 3 satelite Justice centres in Khayan, Hlaing Thar Yar, Thaton. Every month we put a spotlight on one of our partners. This month features the work of Action Aid Myanmar. To consent to subscribe to our Newsletter, until further notice, please enter your email address into the box and press the ‘Subscribe’ button. You may unsubscribe at any time by following the unsubscribe link in the newsletter. British Council complies with data protection law in the UK and laws in other countries that meet internationally accepted standards. You have the right to ask for a copy of the information we hold on you, and the right to ask us to correct any inaccuracies in that information. If you have concerns about how we have used your personal information, you also have the right to complain to a privacy regulator. For detailed information, please refer to the privacy section of our website, www.britishcouncil.org/privacy or contact your local British Council office. We will keep your information for a period of 7 years from the time of collection. British Council collects your personal data to enable any requests arising from this submission to be processed, including contacting you to progress your request; we will not share it with anyone else. By clicking submit you confirm that you agree to our terms and conditions (contract). For detailed information, please refer to the privacy section of our website, www.britishcouncil.org/privacy or contact your local British Council office. We will keep your information for a period of 6 months from the time of collection.